Did you know that there are over 300 openings already posted on the Opportunity Board? Now is a great time to check out the positions that are available from Mexico to Thailand! If you’re available to serve sooner than next school year – whether for a few months or a few years – please consider these urgent openings. 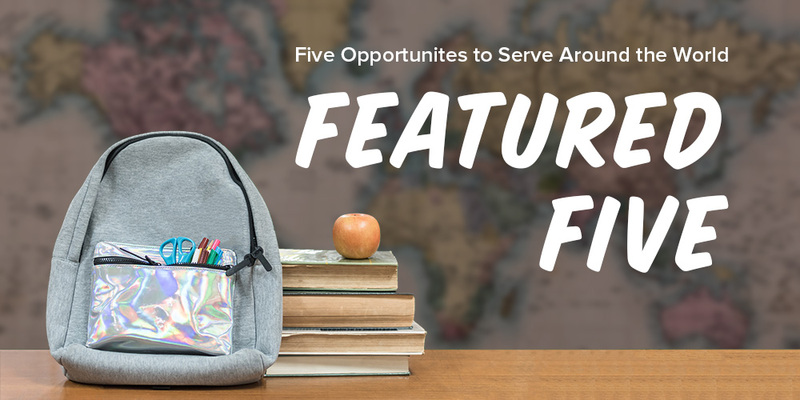 Use your skills and love of teaching to serve missionary families and equip children to influence their world through biblical thought, character, and action. BFA is in urgent need of a suitably qualified and experienced high school math teacher to join our faculty beginning January 2019. Located in the second largest city in Bangladesh, William Carey Academy provides English-medium instruction using an American curriculum. We are looking for an elementary teacher to begin as soon as soon as possible. We are looking for a motivated teacher who loves working with teens to help our students improve their reading and writing skills, as well as work on curriculum development. The position requires a Bachelor’s degree. Be part of a passionate and committed Communications team desiring to transform individuals and communities. We are looking for a person to help design graphics, create tools to aid ministry, and develop communication materials used by TeachBeyond and our partners around the world. Come teach EFL to students who are eager to learn and easy to love in a growing national school in Southeast Asia.